This upcoming month at the end of July, Special Olympics has the amazing opportunity to have their voice heard even stronger across the world, in Dublin, Ireland. Doctors Melissa A. Murphey and Kathleen A. Muglia have taken a different step to teaching their nursing students at Resurrection University in Chicago, IL. These university educators have taken on the incredible task of travelling to six different secondary schools all across Chicago from November 2016 up until February of 2017 to provide physical exams to those who are in need of it the most. These schools consist of Vaughn Occupational High School, Northside Learning, Southside Occupational, Christopher School, and Ray Graham School. The educators and young professionals decided it would be not only a learning experience, but also a better life experience for them and their students to provide physical exams to patients with special needs. The purpose of this journey was to pair nurse practitioner students to expose the athletes with different needs and in turn to fulfill their need for physical exams in term of their needs. The key focuses of educating these individuals were exercise and proper nutrition. The doctors and their students really wanted these individuals to better understand the risks that are associated with health issues, such as obesity. Dr. Melissa Murphey was more than happy to speak to us at Special Olympics Illinois to give more information about this incredible opportunity she has to present and speak about this experience at the end of July in Dublin, Ireland at Sigma Theta Tau’s 28th International Nursing Research Congress. Her accepted research is titled, “Collaboration with Special Olympics: Graduate Nursing Program Successful Clinical Experience.” Dr. Murphey chose to collaborate with Special Olympics because the University that she works for has a long-standing relationship with Special Olympics. She has enjoyed working with Special Olympics in the past and her partner, Dr. Kathleen Muglia, who was previously the Dean really enjoyed meeting the athletes. It is a great opportunity for the nurse practitioner students to be exposed to all different things and learn more than they could anywhere else. When collaborating with Special Olympics, Dr. Murphey mentioned how her and one of her past co-workers, Mike Rackov, have tried to pair up with inner city Chicago schools in the past because it is a nice opportunity for the doctors and their students to perform a lot of physical exams. She also mentioned how it can often be difficult and expensive for some parents to get out to do the exams, so it is helping the parents and their children just as much as it is a lesson for the nursing students. Educating the caregivers and patients on the importance of exercise and proper nutrition led to further understanding of the risks associated with obesity because what these doctors have bounded in their students at the time was height and weight. If students were in the higher body index, which is greater than 30, it is considered obese. To help prevent this, the students and doctors taught these individuals more about proper eating habits and ways to effectively keep up with their health. Partnering with Special Olympics helped broaden the clinical residency experience of the nurse practitioner students with their graduate nursing program by exposing them to a lot more physical elements and challenges that Special Olympics athletes face. It helps show these students that it is easier and more memorable to collaborate and examine these patients in person than it would be in just learning about them in a model way. 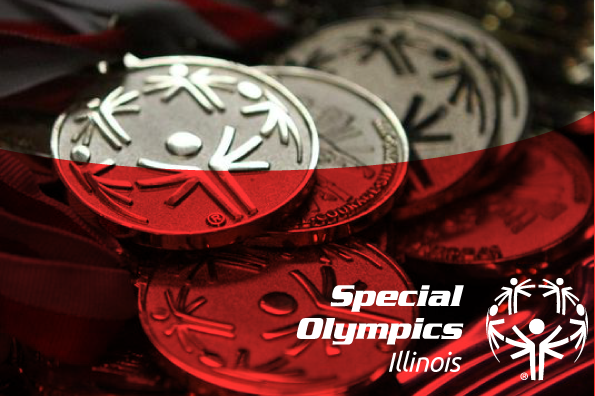 The importance of Special Olympic athletes keeping up with their physical exams is extremely high because it is more than just meeting the requirements. It is always helpful to stay up to date with physical exams and focus on what might be bothering the athletes physically within their bodies, especially with elements such as their heart and lungs. A good thorough exam is always a high priority for these athletes. One big thing Dr. Murphey mentions that she has learned from collaborating with Special Olympics and that she will use in the future throughout her career is learning about adolescence with special needs has made her extremely grateful and very willing to learn. It has been a wonderful educational experience for both herself as an educator and it is so very rewarding. It has helped make her more grateful for her health and every time she leaves an event with Special Olympics, she feels extremely rewarded.